"Cancer has made me appreciate others in my life more and I look forward to what I can do each day." When I was diagnosed with prostate cancer in May of 2018, I was scared. I remembered when I was young, a cancer diagnosis was not treatable like it is today. In my mind I thought I wouldn’t see Christmas. Eight months later my psa has gone from 1230 to 1.52, my blood test levels are returning to normal levels. I feel good and I won’t let this stop me from enjoying life. In 1991, I became disabled from a surgical error. 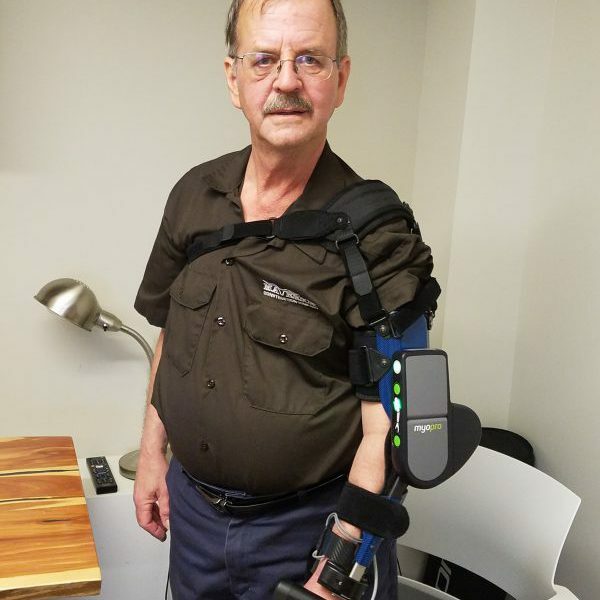 I had to learn to walk again and to use an arm with no functional use. Cancer is just going to be my next big battle. Cancer has made me appreciate others in my life more and I look forward to what I can do each day. Its brought me back in touch with my spiritual beliefs. You need to take care of yourself and get checkups; it’s an illness that can affect anyone.